In just the past two years, the number of SaaS applications has multiplied by 30x, totaling an astronomical 150,000+. With such an exponential rise in the variety of data sources, it is vital for companies to connect these disparate systems, in order to streamline their business processes in an agile manner. Without seamless enterprise integration, companies struggle with costly, time consuming, and inaccurate custom code and manual integrations, hindering their competitive advantage. NetSuite in particular is often used as the center of many companies’ Cloud ERP strategy. Matter of fact, in a typical year, over 20,000 companies use NetSuite. 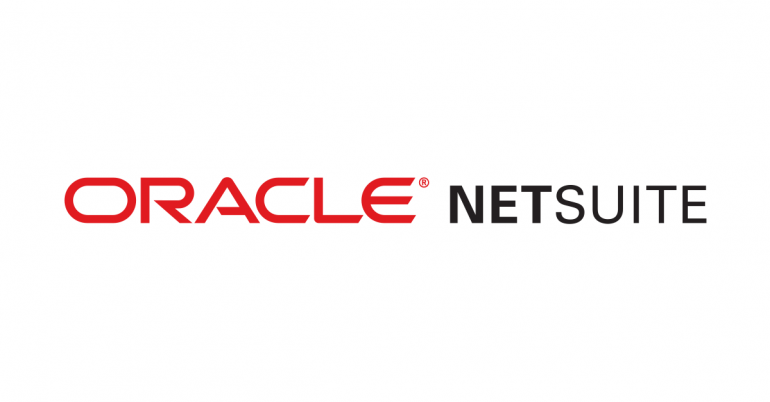 NetSuite handles more than 70,000 requests, and this cloud ERP solution is logged into around four million times every three months. Even though NetSuite is a trusted solution, that doesn’t mean it’s free of its share of setbacks. Linking to applicable data sources and partner solutions could prove to be more complex than you think and unexpected problems could arise. Thankfully, Jitterbit is here to help. The Jitterbit Harmony API Integration Platform for NetSuite unleashes the true power of cloud ERP by connecting into your other cloud or on-premise applications, automating a wide range of business processes. Utilizing our innovative platform to provide a 360 degree view of your business, you can make NetSuite the center of your Cloud ERP strategy by connecting NetSuite to your CRM and eCommerce systems, enabling you to centrally manage all products, inventory, accounting, human resources, and even your customer information. Jitterbit has been in the NetSuite ecosystem since 2011, and we have well over 200 NetSuite customers with successful and powerful integrations. 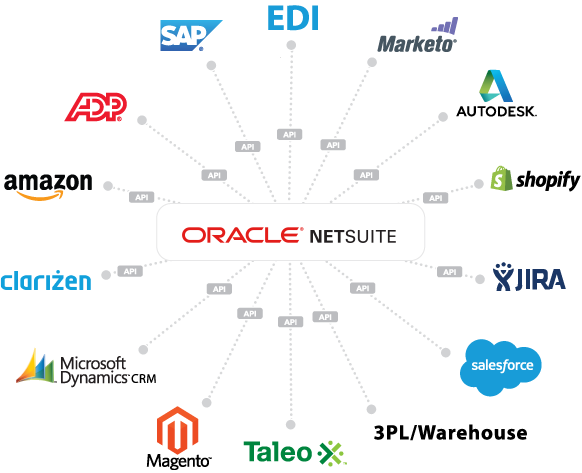 Not only does Jitterbit provide clear visibility for your business on our single, unified platform, but Jitterbit Harmony also has a connector to NetSuite that is certified as “Built For NetSuite”, allowing hundreds of companies worldwide to truly unlock the value of ERP data. Our main priority is to deliver a simple enterprise-class solution to fast-paced enterprise companies who are currently NetSuite customers looking to have integrations up and running as quick as possible. Contact us to learn how you can connect NetSuite with other apps and make NetSuite the epicenter of your ERP. Don’t take our word for it: Aspect Software, Cision, HotSchedules, and Intelliflo are just a few of Jitterbit’s many recurring customers who have found unparalleled success by establishing seamless connectivity to NetSuite. Aspect Software previously struggled with data quality issues as a result of their manual processes, but now they benefit from Jitterbit’s automated integration solution by connecting NetSuite with Salesforce, Apttus, and SuccessFactors. Cision replaced Pervasive, Scribe, Informatica, and custom code with Jitterbit’s Harmony Platform to connect NetSuite with Salesforce, Microsoft Dynamics GP, SteelBrick, Softrax and their internal customer database. HotSchedules uses NetSuite as their system of records. Their previous integration strategy wasn’t flexible enough: they needed more control over their apps, tools, and systems, and wanted a more contemporary and responsive platform that provided the power to change tools as their business expands. Now they utilize Jitterbit to connect NetSuite with other applications such as Salesforce, Zendesk, JIRA, Natero, and Amazon S3, overall saving them at least 10 man-days of writing code, and accelerating their NetSuite integration from 30 minutes, down to just 2 minutes. Not only has HotSchedules saved time and money by using Jitterbit, but they have also significantly amplified the value of all the information residing in NetSuite by connecting it to other business systems, thus providing an enriched customer experience. With Jitterbit, you can connect NetSuite to a wide variety of other popular systems, allowing your company to truly get the most out of NetSuite. Your organization can extract greater value from NetSuite and operate with complete confidence that every resource assigned, and the decision made, is based on the most up-to-date and detailed information. Contact us to learn more about how your business can benefit by using the Jitterbit API Integration Platform.